At our training school in the UK, we offer certified locksmith courses. If you attend a course, we will help you with your marketing side using our in house marketing team. This will include specialised leaflets and business cards (if you have a company logo we will put this onto the artwork for you), and we will give you all the artwork to take away and use. We will also give you a FREE guide on how to promote yourself online with websites, social media and paid for advertising. If you book on the 8 day auto course we will even help you design a brand new company logo to help promote yourself, as well as print out 48 A5 leaflets and 50 business cards for you and provide a van sticker! The 8 day automotive locksmith training course is essential if you are planning on going into auto locksmith work. It allows you to work on real working cars through the 8 days, helping you to fully understand all aspects of the trade. The course is split up into 5 different modules, which will take you through every aspect of auto locksmith work, from basic auto entry to using Genuine Lishi tools, as well as programming using Truecode, KD900 and SuperVAG. The 2 day basic auto entry course is designed to give insight into basic auto entry using a number of different techniques. This includes stripping down locks, reading the disks, re-keying it and re-building it. You will then learn how to use a number of different Keyline cutting machines, as well as learning how to site read variety of different manufacturers edge keys and cut a duplicate key. You will then move on to cloning before learning basic methods of vehicle entry and how to gain non-destructive entry to vehicles using basic entry tools including air bags and long reach tools and button grabbing tools, hand picks and hand rakes, jiggler keys and try out keys, overlifters, inner groove picks and basic tibbe lock tools. During the last part of the course you will learn how to key clone ID46 and ID48 chips using a different number of live vehicles. 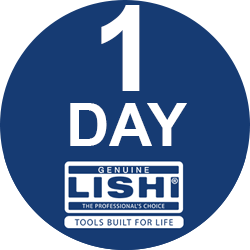 The 2 day Genuine Lishi course is a great way to get to grips with picking and decoding a lock using the Genuine Lishi tools. Designed to teach you how to pick and decode a number of different Lishi 2 in 1, 3 in 1 and direct reader tools, this course allows you to practise on a number of different live vehicles and training locks including NE72, SIP22, MAZDA (MAZ24R), HU66, VA2, HU46, HU66 (GEN 3), HU92, HU83, HU100, HU43 and HU101. The 1 day advanced Genuine Lishi training course really helps you to get to grips with the most challenging locks, including HU64, HY22 and VA6 4 Lifter (perfect if you have previously attended module 2- the 2 day Genuine Lishi picking and decoding course). The course will give an introduction to the new 2015 VAG locks for Volkswagen, Audi, Seat and Skoda, teaching you how to identify these locks, site read and decode the keys, as well as understanding the relationship between the side cuts and the conventional cuts on the 8 cut, 9 cut and 10 cut locks. The 1 day Truecode and KD900 locksmith course will teach you how to use both products quickly and effectively. 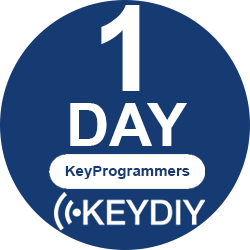 The course will begin with using the KD900 to build and programme the KeyDIY range of remotes, which will help you with cost effective stock as you will no longer need to stock hundreds of different remotes. You will learn how to research the correct transponder, correct key blade and correct remote pre-coding for the remote using the KD900. You will then move onto the Truecode key programmer. You will learn how to programme live vehicles using Truecode via the OBD, coding keys diagnostically with this system. This course will cover a range of makes and models, where you will cut keys, plug in to various car OBD ports and code new keys to the cars. 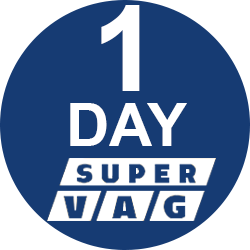 The 1 day Tango and SuperVAG programming course will teach you the ins and outs of SuperVAG. You will start learning how to programme keys via OBD using a Golf MK4, Golf MK5 and Seat Ibiza. You will then learn how to programme keys in a lost key situation where OBD programming is not available, which includes using the Tango Transponder Programmer. Finally you will learn how to correct the mileage in the vehicle so that it can be changed after a clock swap.